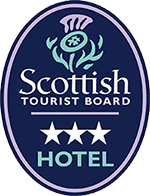 We are located only a few minutes from Glasgow City Centre and perfectly situated near the West End. Whether you’re arriving by bus, train or car, the Albion Hotel is easy to reach and is a fantastic base from which to explore the city. We’ve provided easy-to-follow instructions below to help you find us easily. If you’re struggling, please do call our front desk and our staff will be happy to direct you further. From Glasgow International Airport: exit the M8 motorway at Junction 18 following signposts for Dumbarton. At the traffic lights, follow signs for the A82 then give way from the right-hand side and join Great Western Road. Continue straight for around 0.75 miles then turn right when you reach Napiershall Street. Turn left at the mini-roundabout and you will arrive at the Albion Hotel, which is situated on the left side of the road. From Glasgow City Centre by bus, train and taxi: we are well served by buses with the numbers 60, 60A and 61 stopping at Seamore Street by Maryhill Road. Disembark here and take your second left onto Woodside Road. Continue on Woodside Road for 0.4 miles and you will arrive at our hotel on the left-hand side of the road. Alternatively, you can catch the Subway from Buchanan Street in the city centre (a 5-minute walk from Buchanan Bus Station or Central Station, and outside Glasgow Queen Street Station). Take the Inner Circle to Kelvinbridge. Exit via the stairs to street level and cross Great Western Road. Our street, North Woodside Road, is almost directly opposite the station exit. Taxis from Glasgow city centre vary in price depending on your time of travel but you can expect to pay from £4.00 – £10.00. The journey takes just 5-10 minutes and ranks are available throughout the city. Our hotel is conveniently located for all routes into Glasgow, including Prestwick airport, only around 30 miles away. Driving instructions: upon leaving the airport, take the A77 towards Glasgow. The A77 merges onto the M77 and you should drive along this road for around 13 miles. Next, take the lane leading to M8 Glasgow/City Centre. You should exit the M8 following signs for the A82/A804 for around one and a half miles, through Charing Cross junction and along St Georges Road. You will see a road bridge ahead and should bear left here for Great Western Road/ A82. Drive just half a mile along Great Western then take a right for Napiershall Street. Take the 3rd road on your left to find us on North Woodside Road. Alternative modes of transport: The X77 bus service run by Stagecoach operates a route between Buchanan Bus Station in Glasgow to Prestwick Airport. The service runs 06:45 – 22:40 with a journey time of 50 minutes and buses are up to every half hour (hourly on Sundays). For those travelling on early or late flights, there is an additional service, the X99, which departs from Glasgow at 23:59 and 03:30. Taxis are available to hire outside of the terminal or, for a more competitive price and to guarantee a car, please call our reception to have them book one in your name in advance.